The Scopesmith favorite among the inexpensive quality ARs! : ArmaLite is known for its history of innovation; the introduction of the ArmaLite SPR “SPECIAL PURPOSE RIFLE” Mod 1 proves it once more, in spectacular fashion. The SPR Mod 1 is forged, one-piece upper receiver/rail system with exclusive detachable side and bottom rails. The SPR Mod 1 is like no other on the market. With other one-piece systems, you’re stuck forever with the rails you get at purchase, and stuck with their limits. Knowing than you and your firearm often have more than one mission the SPR Mod 1’s three o’clock, six o’clock, and nine o’clock rails are detachable. You can change your 1913 rails to fit your changing needs for sights… lights…lasers…grips…or swivels. Each SPR Mod 1 comes with three extra rails standard, at no extra cost. We give you a 1913 rail with quick detachable sling swivel hole. Each rifle comes with a low insert for when you need a bare rail with a low profile. There’s also a plain insert with a quick detach sling swivel hole. Changing your rails…your add-ons…and your SPR Mod 1… is as easy as turning a torque wrench. Ingenious versatility isn’t the only reason you’ll want an SPR Mod 1. 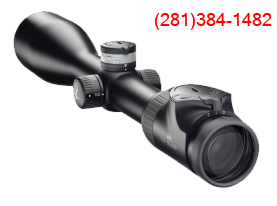 Its one-piece construction offers you a continuous optic platform (COP). There’s no gap to bridge between receiver and upper rail when you’re installing your scope or sights. This one-piece construction also gives the sighting platform extra rigidity. It’s a good, strong backbone. That means your sights will stay zeroed in the most trying conditions. Other great features: chrome lined, chrome moly vanadium steel barrel; its two-stage tactical trigger; the patented, extra strength steel bolt assembly; or the hard coated finish. These are all things that the other companies consider options at an added cost.